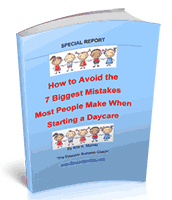 When it comes to filling your daycare, the first conversation with new parents is usually the biggest challenge. You will have less than sixty seconds to show that you are a trustworthy and effective sales rep and all you have is your research and your phone to support you. Fortunately there are some good tips that can help you to hold a good first conversation with a prospect. One vital tip is to never waste time talking to the wrong person. Make certain that they are the one you need to be talking to who is in charge of the particular field of interest that you are calling in regards to. It is pointless trying to establish a relationship with someone who has no authority in your area. Another good tip is to get rid of fluff. Do not waste time on small talk such as asking people about their weekend activities. You need to get straight to the point and on with the business of questioning them about their current technologies and working environment. Do not try to dump your product on them right away. Leave information about your product for a later date and use the first conversation to learn about them and their environment.